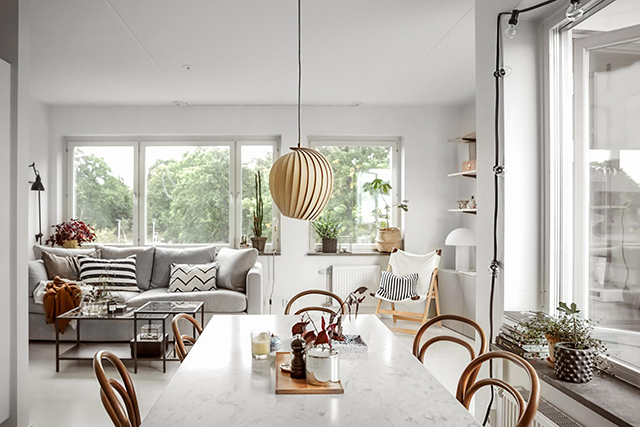 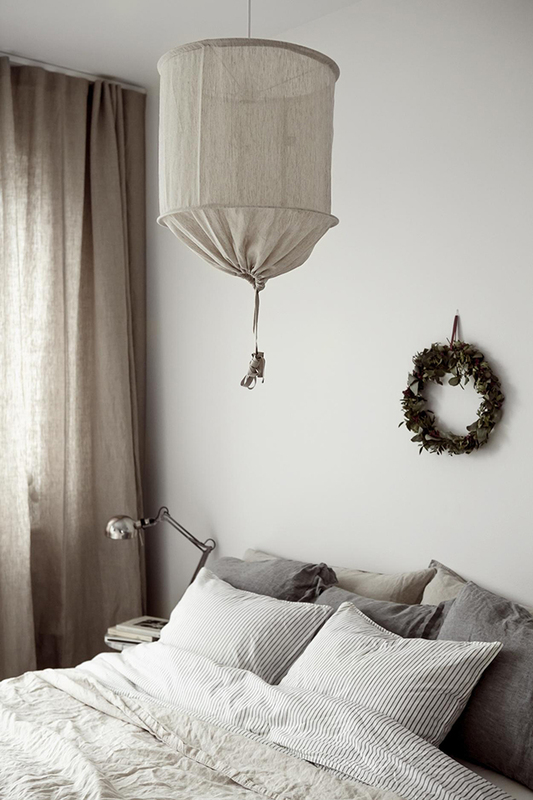 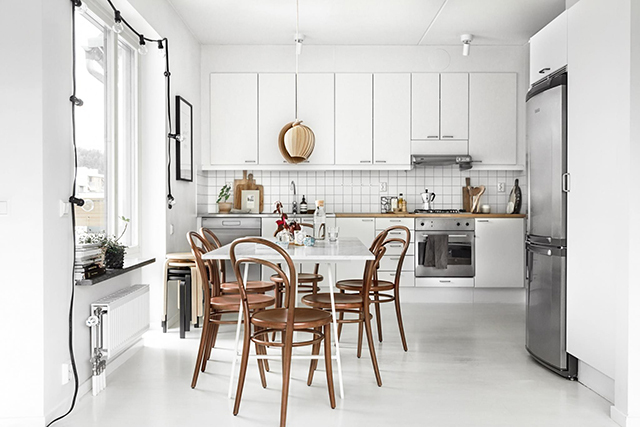 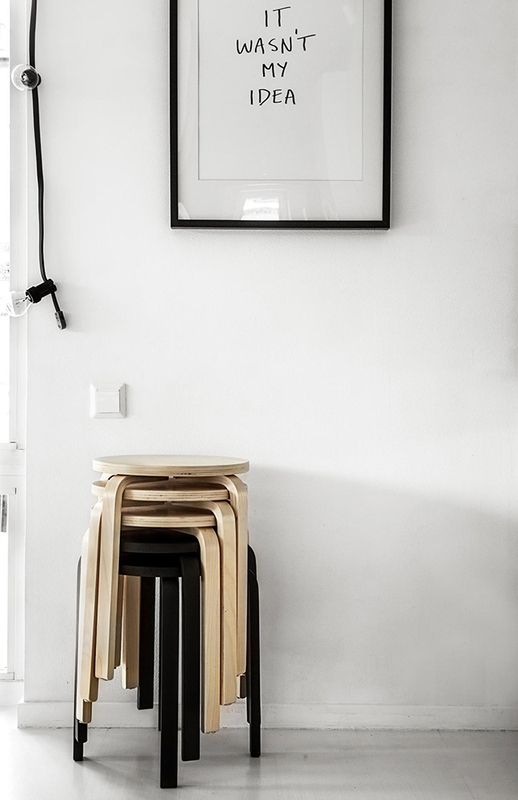 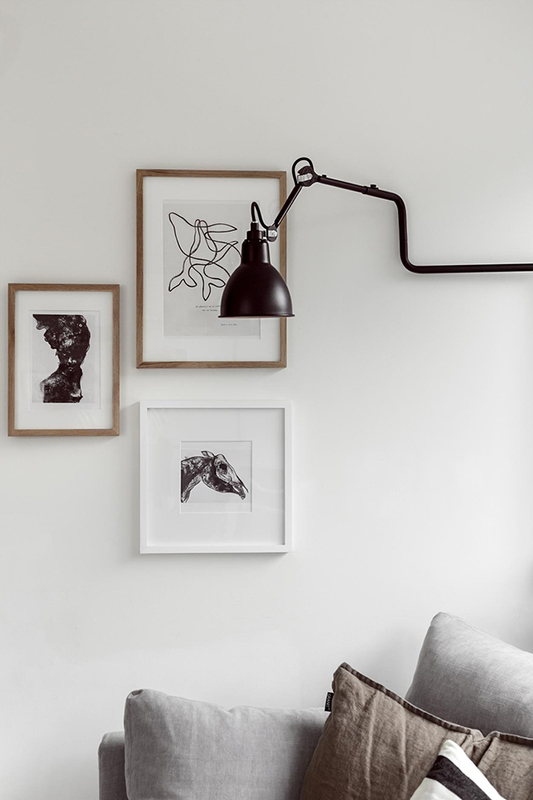 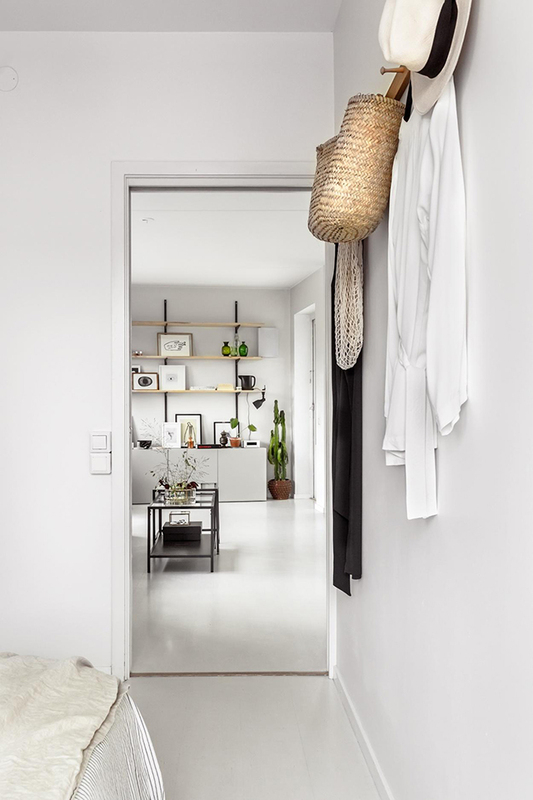 With a busy week ahead I thought I'd get a head start on the blog with this lovely, light-filled home in Stockholm. 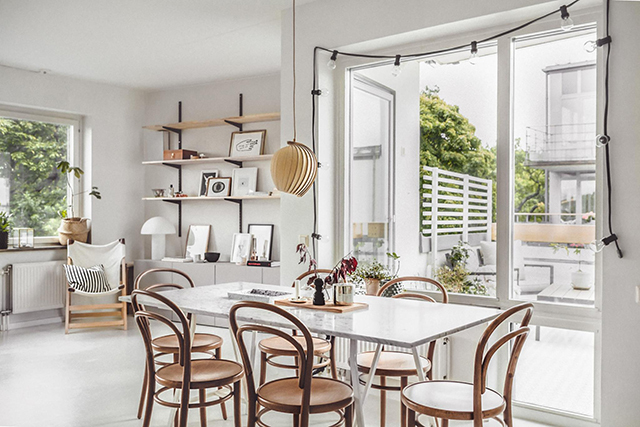 Currently for sale via Fantastic Frank, it features white washed walls and floors. 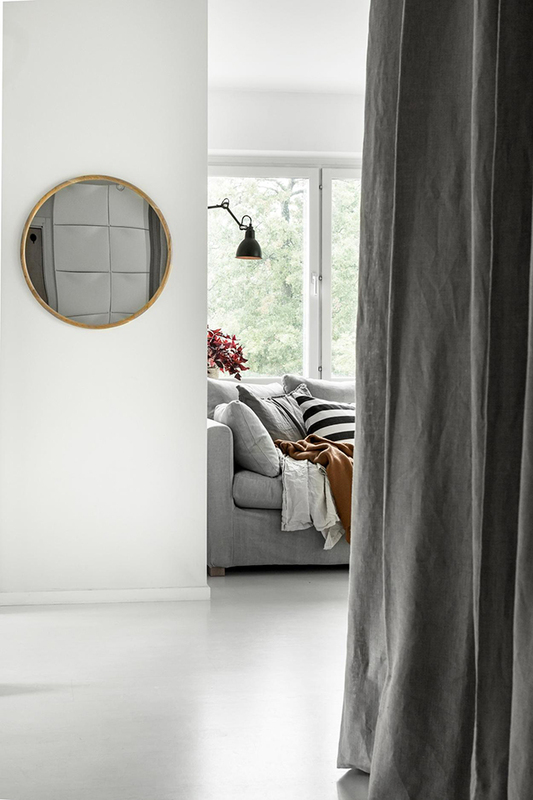 These are warmed up with a touch of marble, warm wood accents and soft linen pieces including cushions, bedding and curtains. 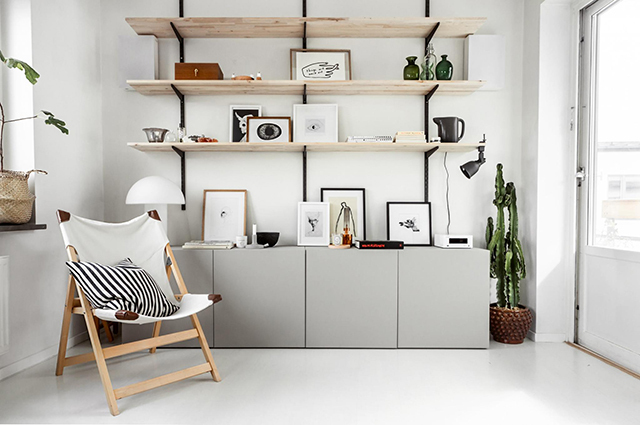 The cabinets and open shelves are a stylish and functional solution for the open plan living space, providing both storage and a place to display framed prints, small objects and lamps. 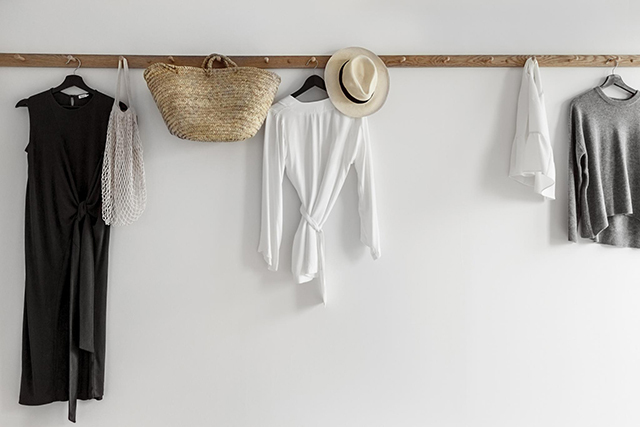 The peg rail in the bedroom is another simple yet clever feature - this post immediately sprung to mind - and I love the beige tones and sweet little wreath on the wall.